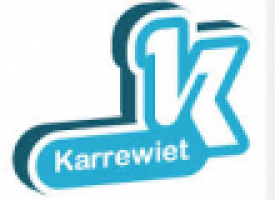 Na het bekijken van het weekoverzicht van Karrewiet van 12/9/15 lossen de leerlingen enkele vraagjes op. Aan de hand van deze vragen krijg je een beeld van wat ze onthouden hebben. Professor Andrew Geddis, Faculty of Law, presents his Inaugural Professorial Lecture on the topic “Of Flags and Protest: Dissent, Offence and the Limits of Free Speech”.13 September 2011. Professor Richard Walter of the Department of Anthropology and Archaeology) presents his Inaugural Professorial Lecture on the topic of “Challenges and Diversions in Pacific Archaeology” on 19 October 2011. Professor Walter's research interests include prehistory and archaeology of Oceania with a special interest in Melanesia and Polynesia; material culture analysis; history of archaeological method and theory; ethno-archaeology; and faunal analysis. UMMC Physician Profile: Ngozi Akabudike, M.D. James M. Buchanan on "Institutional Sources of America's Fiscal Tragedy"